Have you finished your holiday shopping yet? 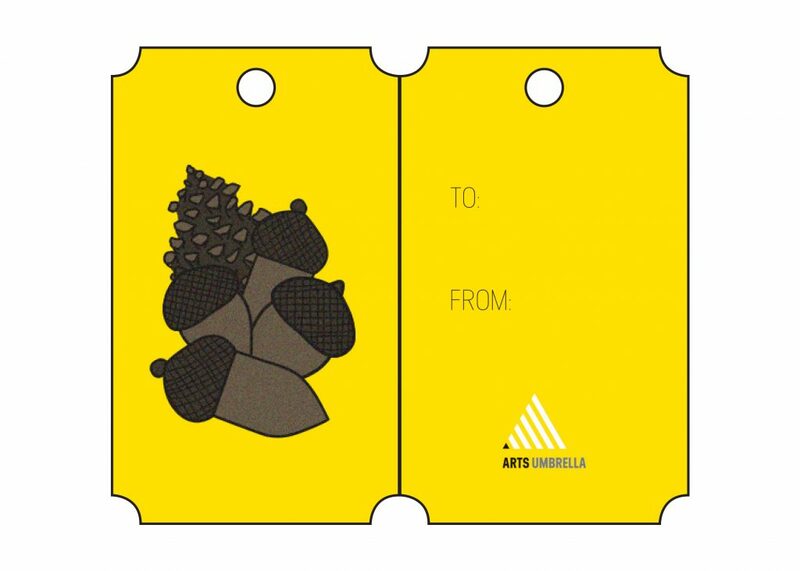 The Arts Umbrella offices are abuzz with last-minute gift exchanges, sweets, and ugly sweaters. 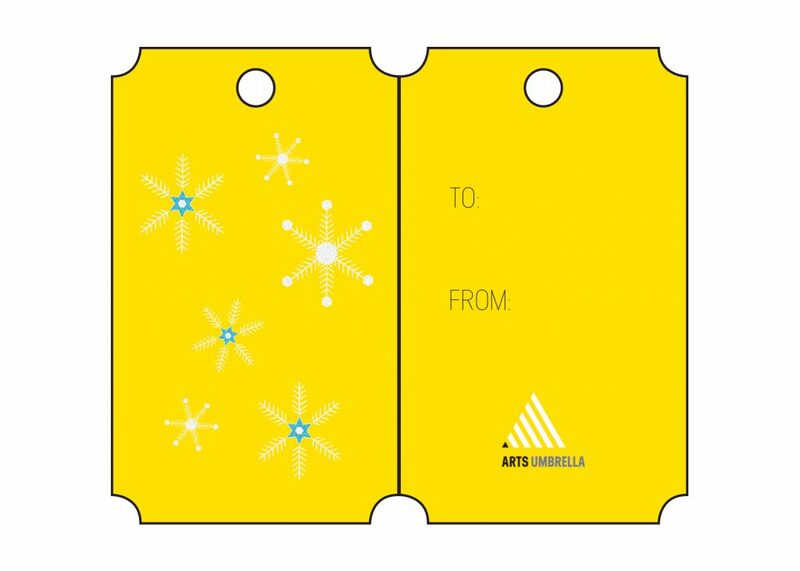 If you’re still looking for perfect gift for that special someone, we’ve got you covered! 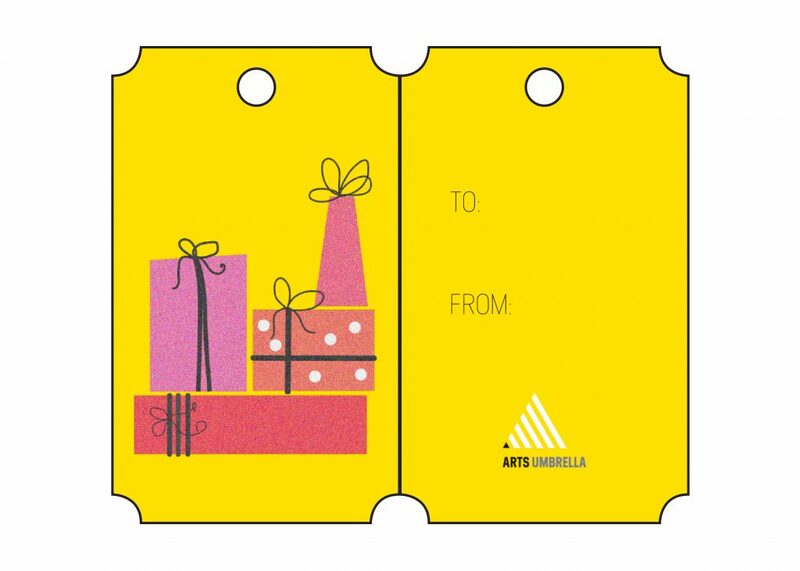 Give the gift of creativity this year, with an Arts Umbrella gift card. Available in denominations of $50, they never expire, just like your imagination. Get them here! 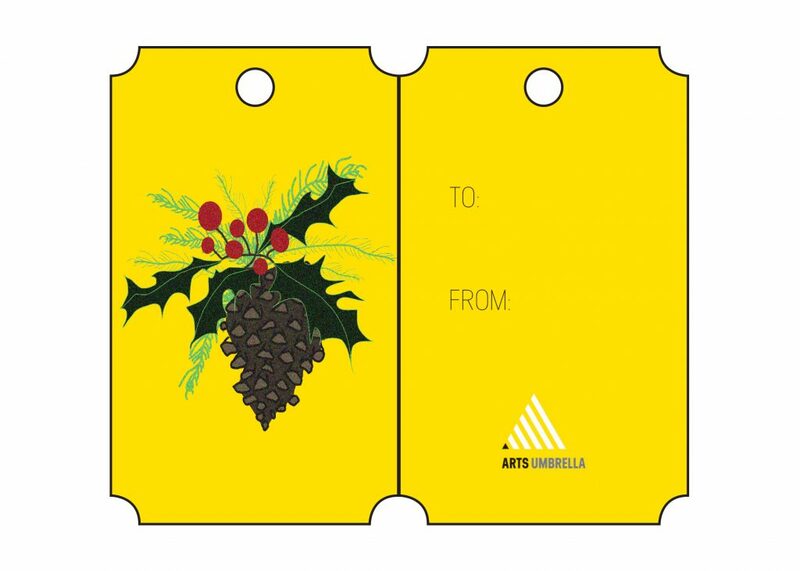 For a little extra holiday cheer, download these free Arts Umbrella gift tags to spruce up your wrapping. Simply download the PDF, cut out the tags, fold them in half, and glue them together. Voila!